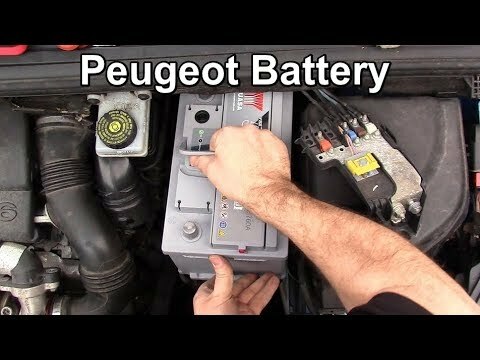 Removing and replacing the battery in a Peugeot 308 1.6HDi. This is a similar process to the Peugeot 307 and Citroen C4. Thanks for watching, please comment, like and subscribe !. This video is intended to offer general information for working on a car. The publisher and author of the video have used their best efforts in the creating the video. No liability can be accepted by the author and publisher of the video for any expense, damage or injury caused by any errors in the information given. In no event shall author or publisher be liable for any direct, indirect, incidental, special or consequential damages, damages for loss of profit, revenue or other damages incurred by you or any third party.